In its most recent flyby, NASA’s Cassini space probe discovered some strange red streaks on Tethys – one of Saturn’s 62 known moons. 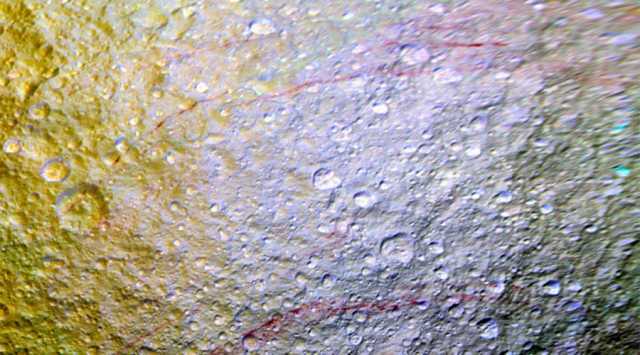 “Like graffiti sprayed by an unknown artist, unexplained arc-shaped, reddish streaks are visible on the surface of Saturn’s icy moon Tethys. As the Saturn system moved into its northern hemisphere summer over the past few years, northern latitudes have become increasingly well illuminated. As a result, the arcs have become clearly visible for the first time,” NASA wrote. “With the expanded range of colors visible to Cassini’s cameras, differences in materials and their textures become apparent that are subtle or unseen in natural color views,” expounds the US space agency. 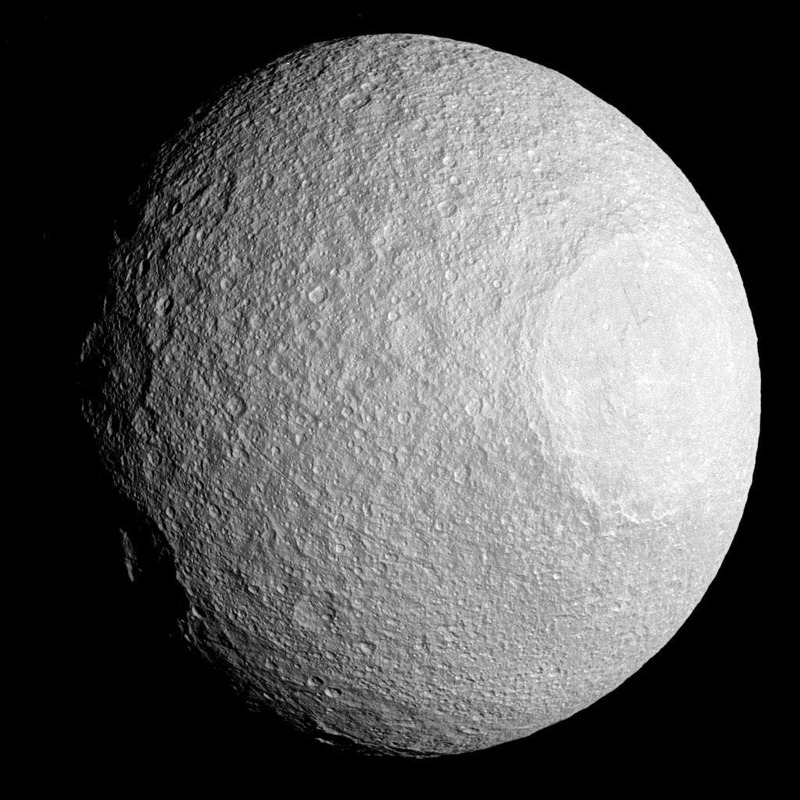 Tethys is a mid-sized moon of Saturn about 1,060 km (660 mi) across made of water ice with just a small fraction of rock (we know this because of its very low density, lower than water). Tethys is heavily cratered and cut by a number of large faults/graben which indicate significant tectonic-like features, but so far, there is no explanation for these red streaks. Cassini also found a bright basin on the surface of Tethys which was never imaged before. As for the basin (Odysseus), it was imaged by Cassini using a multi-wavelength imaging technique from an impressive distance (186,000 miles). The basin is also colorful and measures 280 miles across – more than a third of the moon. Astronomers believe this is an old impact crater which is responsible for many of the geological features spotted on Tethys.